Lots of people think that once you've played one slot machine you've kind of played them all... However, nothing could be further from the truth, these machines come in all shapes and sizes and have their own individual quirks - this is why they've surived the test of time and why they've taken the leap into the digital generation. Slot machines have existed since the late 19th century and stayed around as a popular gambling device even through the era of American Prohibition. Why have they remained so popular and such a staple of casino life? Let’s take a look at some of the key features of these machines that help to make them such fun experiences. If you'd like to read in greater detail about how slot games work, we've put together a full guide to how slot games work. Every slot, from the traditional slots of American casinos and English pubs to the modern online games on internet casinos, features an eye-catching design chosen to appeal to you and draw you in. Slot machines have the potential for every theme you can think of. The classic designs include the card suits, horseshoes, and bells of Charles Augustus Fey’s Liberty Bell machine or the iconic fruit design of Herbert Mill’s slots. In the modern day, slots can be themed around anything you can think of! From the Marvel heroes to the Californian Gold Rush, from space exploration to fantasy elven realms, whatever you like there is bound to be a slot that will appeal to you! These designs make the games fun to play. Combined with the great music, they create an immersive atmosphere that will capture you for hours, take a look at our collection of online slot machines to find one that takes your fancy, new players can even play some free slot machines with free spins - but only on a first time deposit of at least £10 and only on selected games. Slot games have remained popular for so long partly because they are extremely easy to play. Other gambling games like poker require a long time to learn and an even longer time to master. Slots are an inherently simple design; make a bet and then play the spin. Anybody can play them and have the chance to win. They are many people’s first foray into casino-style betting and they tend to remain a solid favourite. 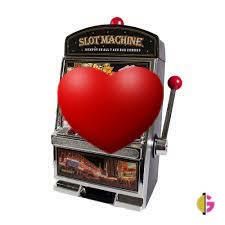 With the advancement of video slots, game-makers were able to introduce fun and inventive bonus features to maximise your chance of a pay-out. These can range simply from free spins or wild tiles to entire bonus mini-games. When you activate these bonus games, you are often transported to an entirely new game screen. This new game will often give you the opportunity to greatly boost your balance. It's very easy to make back your bet and then some through these fantastic little games. Plus, they occur rarely enough to tantalise you and keep you wanting more - remember though, even if you play a slot game that is packed with bonus rounds, if you play for long enough the house is bound to win! One of the most attractive features of slot machines, and therefore one reason why they have remained so popular for so long, is the chance to win big. Unlike with other traditional gambling games, with a slot machine you have the opportunity to make quite a bit of money with a very small investment. In the past, the only payline came from matching symbols across the one horizontal line. Nowadays, a video slot machine typically offers between 25 to 30 paylines that can go in multiple directions across the reels. This maximises your chance to win! Furthermore, you are given all the control when it comes to placing your bet. Only want to play casually? Place a little bet across a few paylines. Feeling a bit more daring? Adjust your settings and get ready to play. Online slot machines can also offer fantastic bonus prizes. Special weekend or seasonal events can be run frequently to give players plenty of chance to win. From big cash bonuses to prizes like cars, there is plenty of incentive to play. Keep an eye out for any deals from your favourite slots and use it as an opportunity to win big while playing your favourite game.